You can can keep your Michelins, I'm gunna keep rockin' these Cheng Shins. 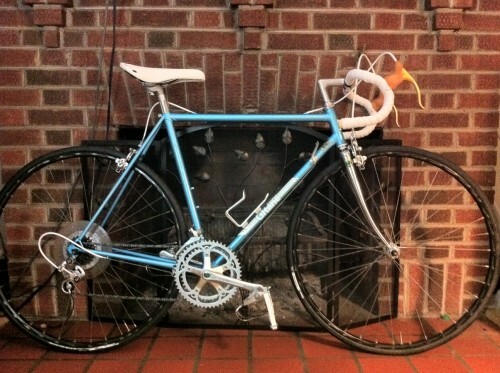 Another git-git-Gitane, this time a 1987 Gitane Performance from Andrew P. Beautiful bike, and I see I’m not the only one who sees the beauty in an undisturbed pie plate. Infact, I’m pretty sure Andrew may have upgraded that baby. I found this bike behind a couple oil drums in a garage. I think it’s uncouth for a person to say what they spent on something, but I will say is that it was nearly $30.00. I deserve to treat myself now and again. Everything on the bike other than the rubber and plastic was dirty, but in excellent shape. The original saddle was also in good shape but insanely uncomfortable. I replaced the cables/housing, brake levers and bar tape. The original stem was still in excellent shape, but very short. Not only was this uncomfortable, but it made the bike almost dangerously nimble. This was apparently the height of the ultra steep head angle era for European bikes. The angle on this bike is 74 degrees. The higher end models were even steeper. I feel completely over my head when riding it, which is dangerous and awesome. ..let’s see, if we melt down the two oil drums for scrap metal, siphon every drop of oil that might remain in said drums–that might actually pay for the beautiful Gitane, twice! I’m sure the picture does the bike only partial justice, but it looks almost NOS. Love the chrome forks, so classy. 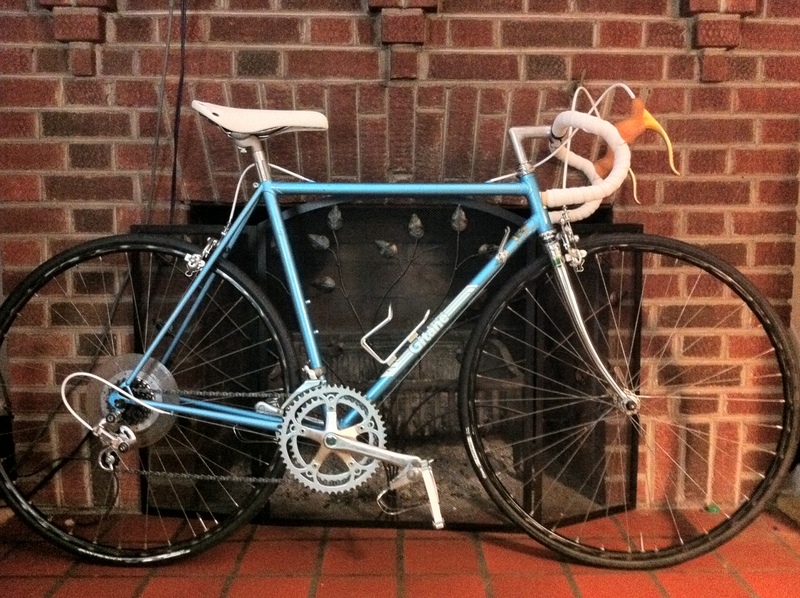 Bad boy, now go put some miles on that bike, or else..
Lovely and a steal of a deal-Chapeau!